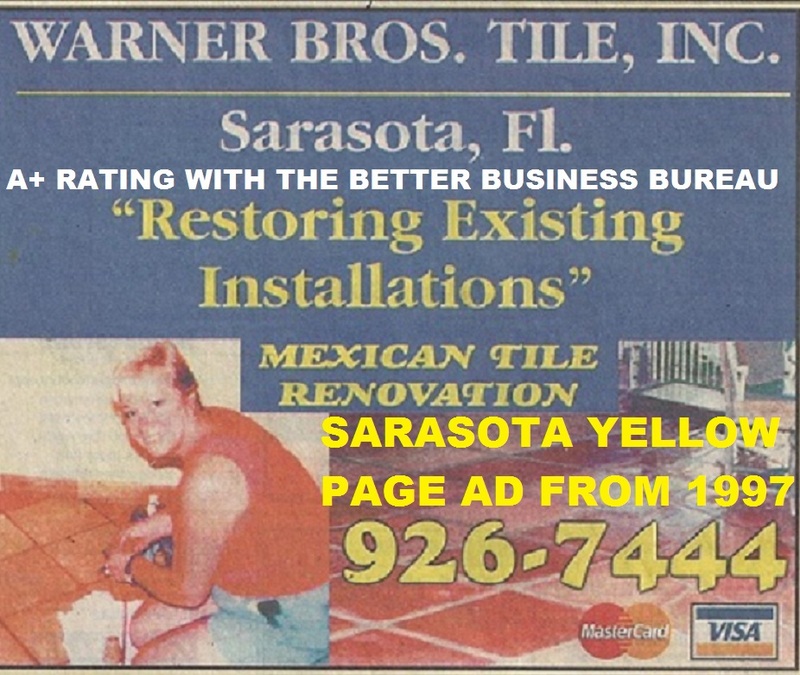 Mexican Tile Cleaning: Warner Bros Tile dba Mexican Tile Renew For 23 Years in Sarasota Fl. 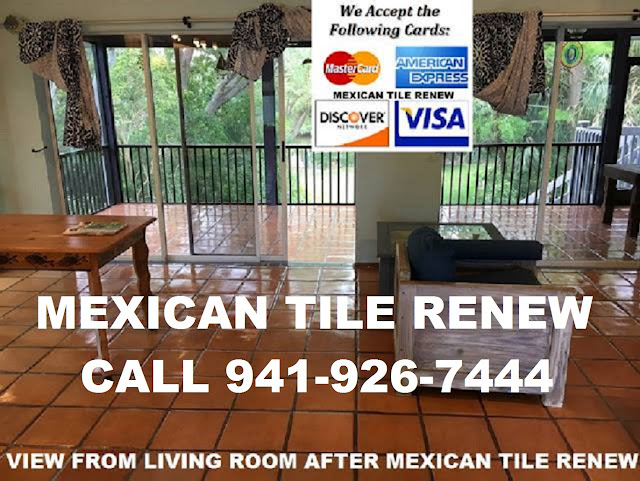 Had a big problem with old Mexican tile in a house built in the 1950's in St Pete Fl that just would not clean up whatever we did. Planned on having it all ripped out and replaced, it was so bad, but the cost for 1,200 sq feet would have been almost $8,500 and a big mess. I got a hold of Warner Bros tile in Sarasota, they came out and gave me a very fair price to strip clean and reseal all the old Mexican tile, I was amazed at how they got it all done in one day and the floors now look beautiful. I wanted to thank Warner Brothers Tile Inc. for the great job they have done (inside and outside) the property. The owner of the company stayed on the job for the entire duration -- five + hours and worked side by side with his helpers. 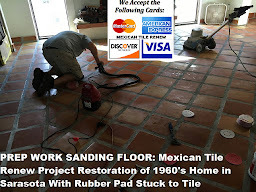 The result was -- magnificent cleaned up old, damaged tiles inside of the house. They also cleaned and renewed the outside pool deck. It looked great until the pool company came and ruined all that great work. The owner was gracious and came back to review the damage done by negligent pool company and fixed the problem by stripping and sealing the space again. I was on a deadline to finish the job and I cannot thank them enough. It's a good idea to consult with them and see if you need to clean or prepare your space (floor) prior to their arrival. The sealer was clear and was dry within few hours. Thank you so much, Warner Brothers Tile Inc. Really, really appreciated it your hard work and advice. 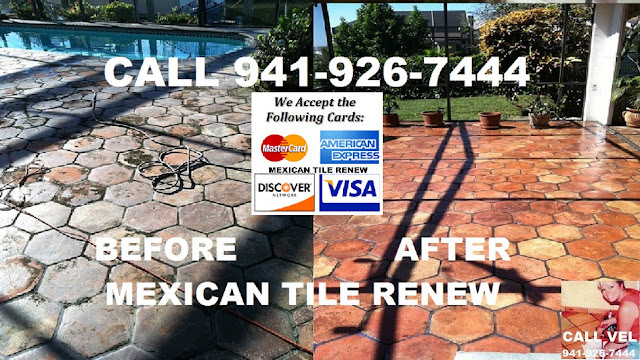 I called Warner Bros Tile also known as Mexican Tile Renew to take care of a pool deck area that leads to a kitchen and laundry area in a house that had not been cleaned and sealed in many years. 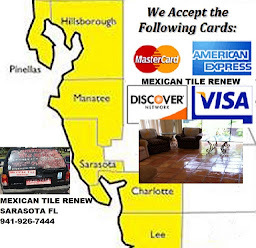 My wife and I took over a foreclosed home in the Gulf Gate area of Sarasota Fl and we needed to get the home ready for sale, as it stood, the Mexican Tile was a big distraction with old rubber pad stuck to the Mexican tile in areas of the kitchen where mats had been laying and the pool area tile was covered with black mold and all marked up. 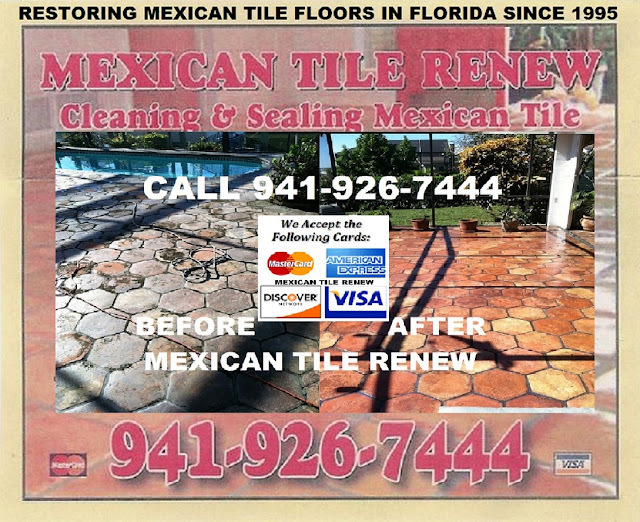 Bill and his crew from Mexican Tile Renew showed up at 8:30 am and proceeded to strip off all the old sealer, rubber padding and removed all the mold, they cleaned and sanded tiles as needed and put on 4 coats of a clear sealer that made the Mexican tiles come alive, very good job. 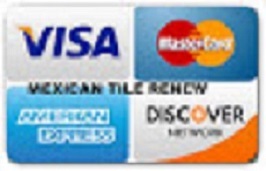 We were able to sell the house within 10 days, thanks Mexican Tile Renew .